It’s that time of year again! If you haven’t been using fireworks already, you probably will be on Wednesday. It’s a fun family activity, and to help we put together a short list of quick tips to make sure you’re staying safe while still having a great time. When setting off fireworks, do your best to keep it on your own property - no one wants to wake up to find their lawn covered in debris from your fireworks. If you’re setting them off in or near the street, make sure there are no cars coming. When you’re done, put on some gloves and clean up your mess. Just be careful when handling/disposing of used fireworks and packaging, as excessive heat can pose a fire risk. From a safety perspective, it’s best to leave your pets inside during the show, and dogs will probably appreciate this anyways due to the loud noises created by the fireworks. It can also be helpful to have a bucket of water or two around to be safe. One bucket can be used to collect used sparkles and other extremely hot items, and the other bucket kept on-hand in case of a small fire. 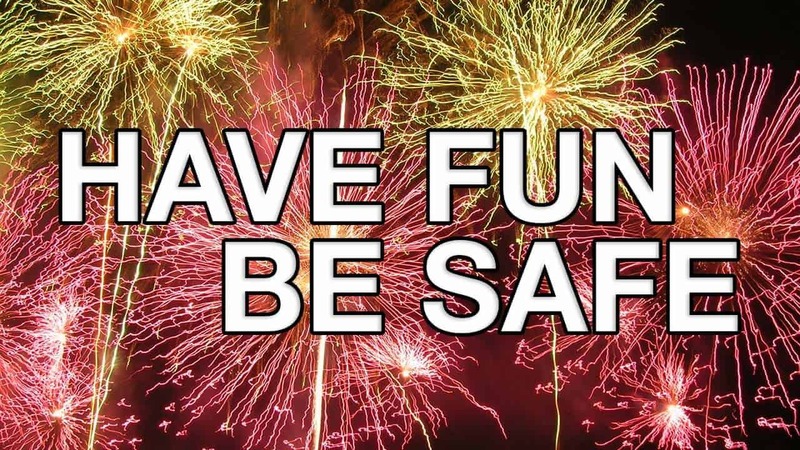 Find a safe, flat surface to ignite your fireworks on, make sure no people or animal are in harms way, and store other fireworks away from the ones you’re igniting. Don't get too crazy with your creativity either! Doing things like taping sparklers together, lighting multiple bottle rockets at once with a small torch, or creating your own fireworks can be extremely dangerous to yourself and others around you. There’s a lot of local laws and ordinances regarding firework usage. Some cities only allows fireworks on actual holidays, while others ban them completely. You may only be able to use certain types of fireworks, while others are on the no-no list. Many cities post their laws right on their websites, so be sure to find out before you go and buy a bunch of fireworks that you’ll get in trouble for using. Independence Day is a great opportunity to relax, spend time with friends and family, and really kick back and enjoy yourself. Pool parties, backyard barbecues, and firework displays are beloved American traditions on this holiday. Just make sure you're being safe and use good judgement if you're going to be using fireworks!